When you and your vehicle are out on the highway, anything can go wrong. That’s why it’s important to have a dedicated technician who can handle anything. Transportation Repair in Logan, UT has a team of ASE Certified technicians that are ready to meet your vehicle’s specific needs. We consider your vehicle’s purpose, your driving habits, and the manufacturer’s recommendations when designing a service plan. Our preventative maintenance services are meant to keep you in front of any costly repairs or breakdowns. Consistent oil changes, filter changes, timely tune-ups, check engine light diagnostic services, inspection services, and more scheduled maintenance will keep your vehicle in optimal condition. Transportation Repair’s expertise is in quality auto service–which means we only perform repairs if we couldn’t avoid them altogether. Routine maintenance to complex automotive repairs are handled with the same commitment to excellence. Protecting your vehicle’s engine is like protecting your heart. The importance of a healthy heart should go without saying. Same can be said for your vehicle’s engine. Normal wear-and-tear can lead to a repair need when your vehicle doesn’t receive the proper attention. Starting with the engine, we can perform any complicated engine repairs or replacements. Arguably, the most difficult component to service is the transmission. 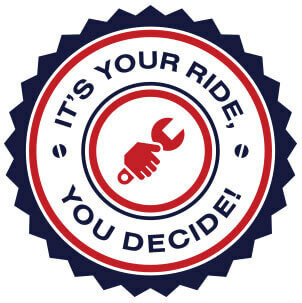 Leave your transmission’s diagnosis and service to the professionals at Transportation Repair. All that owners need to do to properly care for their vehicle is pay attention to any performance issues and be proactive. Bring any of your vehicle’s system malfunctions to our shop, and we’ll handle the rest. If your brakes are squealing, let’s get them fixed. If your wheels are misaligned, our techs provide precision wheel alignment repairs. When it’s time for new tires, we’ll guide you through the selection and installation process. From bumper-to-bumper, Transportation Repair has you covered. We stand behind all of your repair services with a 12 Month / 12,000 Mile warranty. Now is a great time to get your vehicle operating at its best. The dedicated technicians at Transportation Repair have the service expertise and advanced equipment to care for your car, truck, van, or SUV. Our team is also available to provide top-notch fleet repairs and maintenance. Keep your fleet on the road and highly-productive. Avoid vehicle downtime with our preventative maintenance plans. Give us a call today at 435-752-0488 to schedule your next auto service appointment. Since you’re already online, save some time by scheduling right now using our convenient online scheduling system. Next time, you’re in the area, feel free to stop on by our shop, where you’ll get the truth about your vehicle’s condition every time. We’re looking forward to serving you and servicing your vehicle!